The LiPo batteries for the Kysho dNano micro RC models are originally intended to be charged with a dedicated NiMH battery powered charger. Although that may be convenient at times due to its compact size and mobility it offers it is not easy to charge the batteries using a dedicated LiPo charger. 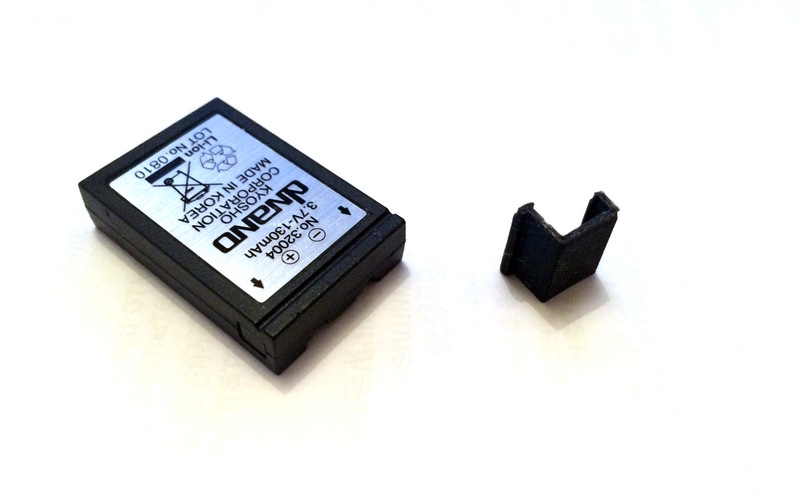 We have designed a simple 3D printable battery charging adapter for the Kyosho dNano LiPo battery to allow the battery to be charged on a multifunctional charger such as the SkyRC Imax B6AC or another popular choice. Do note that there is a part that you need to 3D print and there are some additional parts that you would require to make yourself this simple DIY battery charger for dNano. We are using a JST style battery connector to connect the LiPo battery placed in the adapter to a LiPo battery charger. For the side of the cable that goes inside the 3D printable battery holder we are using the pins that go inside the connector of a servo cable that we are going to be clipping a bit, then heat a little and insert into the specially made holes inside the battery holder. Pretty simple and easy to assemble solution that works great, if needed you may push a bit the insides of the connectors that go in the battery holder, so that they will make a good contact with the battery. You can apply a small drop of glue if the cables are not fitting too securely inside the battery holder. You can 3D print the battery holder part with a rougher detail level such as 0.3 mm layer height, it should work fine and still provide a good and tight fit. To remove the battery from the charging adapter please use your finger lifting the battery at the back of the charging adapter. The design of the adapter also works just fine with a 240 mAh Zippy LiPo battery that we have modified slightly for use with our Kyosho dNano model – the battery needs a little extra padding to fit tight inside the battery compartment and become the same size as the original battery. The LiPo batteries for the Kysho dNano micro RC models come with a protective plastic clip that is intended the prevent the possibility of shorting the battery when it is not in use, but these protective clips are easy to be lost. So we’ve made a replacement that you can quickly and easily 3D print and have your battery extra protected again. Due to the small size and precision required we recommend using 0.1 layer height or what is the fines resolution that your device offers.